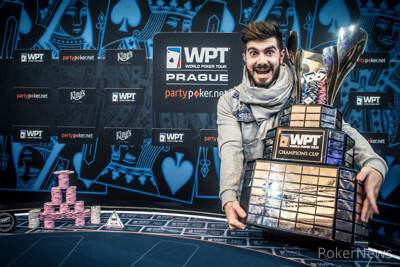 Congratulations to Javier Gomez, Winner of WPT Prague for €175,000! 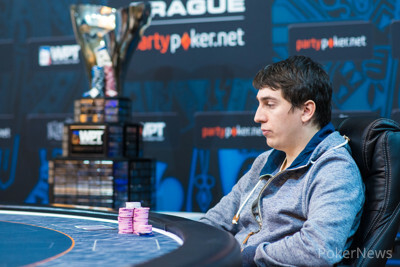 After 212 hands of poker, it was Spain's Javier Gomez who took down the 2015 partypoker World Poker Tour Prague Main Event title for €175,000 and a $15,400 seat into the WPT Tournament of Champions. Gomez beat Moldova's Pavel Plesuv heads up after a four-hour battle that lasted 138 hands, while play from six down to two took only 74 hands. Bulgarian Fahredin Mustafov started the day with a big lead, and short-stacked Henrik Hecklen was the first to get knocked out. On the 17th hand of play, Hecklen found ace-four and busted out to Gomez's king-queen suited. Gomez hit a king on the flop, and Hecklen, the Danish pro, collected €34,100 for his deep run. A little while later, Gomez doubled through Abdelkader Benhalima. Gomez raised to 70,000, Benhalima three-bet to 215,000, and he then called Gomez's shove. Gomez held queens against Benhalima's king-queen, and the board ran out dry. On the very next hand, Benhalima doubled through Pedro Marques, but two more hands later the field was down to four. Benhalima jammed ace-nine for 1.3 million in chips, and Gomez made the call with pocket tens. The board brought no help for Benhalima, and he took home €43,000 for his fifth-place finish. This hand gave Gomez a big chip lead, and he didn't relinquish it until deep into the heads-up battle. Marques busted out in fourth place, and he took home €57,400 after losing a big coin flip with ace-jack suited against Gomez's sixes. Gomez continued to dominate and busted out Mustafov in third place, who couldn't win the coin flip with sevens versus ace-nine of diamonds. Mustafov collected €77,500 for his efforts. Gomez started the heads-up battle with 6.2 million versus Plesuv's 1.4 million, and after Plesuv managed to take the lead by winning a high volume of small pots, things went back and forth for hours. In the end, Plesuv had Gomez on the ropes, but the Spaniard won three all-in pots in a row to secure his first WPT victory. 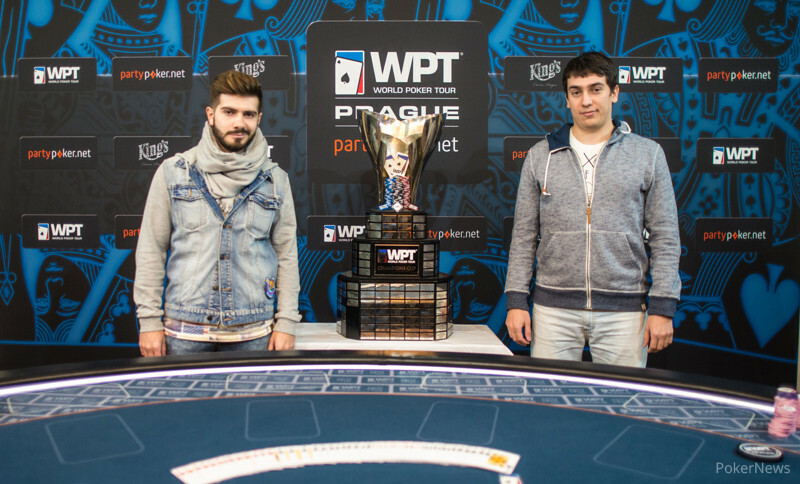 Plesuv collected €120,000 for his second-place finish, while Gomez received a big paycheck worth €175,000. Hand #212: Javier Gomez moved all in with and Pavel Plesuv called with . The board ran out and it was all over! The final table lasted for well over seven hours, four hours of which was heads-up play, but in the end if Gomez from Spain who takes home his first ever World Poker Tour title! Hand #208: Javier Gomez moved all in with and Pavel Plesuv folded. Hand#209: Pavel Plesuv moved all in and Javier Gomez folded. Hand #210: Javier Gomez just moved all in with and he won the pot. Hand #211: Pavel Plesuv moed all in on the button with and Javier Gomez with called. The board ran out and Gomez hit a flush to double up again! Hand #201: Pavel Plesuv limped on the button with and Javier Gomez checked with . The flop brought out and both players checked. On the turn the hit and Plesuv made a small bet of 200,000 and Gomez folded. Hand #202: Javier Gomez moved all in with and he won the pot. Hand #203: Pavel Plesuv moved all in with and Javier Gomez folded. Hand #204: Plesuv received a walk. Hand #205: Gomez received a walk. Hand #206: Javier Gomez limped with and Pavel Plesuv checked with . The flop brought out and Gomez folded when Plesuv bet. Hand #207: Pavel Plesuv shoved with and he won the pot. Hand #199: Javier Gomez received a walk. Hand #200: Javier Gomez moved all in for 1.5 million chips and Pavel Plesuv made the call in the big blind. The board ran out and Gomez doubled up again. Hands #197-198: Plesuv Takes a Massive Chip Lead! Hand #197 Pavel Plesuv folded after limping with when Javier Gomez shoved with . Hand #198: Javier Gomez moved all in with and Pavel Plesuv moved all in with . Gomez called, and the showdown went as following. The board ran out and Plesuv doubled up! Plesuv now has a massive chip lead again. Hand #191: From the button Pavel Plesuv called with and Javier Gomez checked with . The flop brought out and Plesuv bet 200,000 after Gomez checked. Gomez folded and Plesuv showed his cards as he raked in the pot. Hand #192: Pavel Plesuv received a walk. Hand #193: Pavel Plesuv limped on the button with and Gomez moved all in with . Plesuv folded and Gomez picked up the pot. Hand #194: Javier Gomez limped with and Pavel Plesuv checked with . The flop brought out and Plesuv check-called 200,000. The turn was the and both players checked. On the river the hit and again the action was checked. Plesuv raked in the pot and gets the chip lead back. Hand #195: Pavel Plesuv limped on the button with and Javier Gomez checked with . The flop brought out and both players checked. The turn was the and again we saw two checks The river was the and we saw two more checks. This one went to Gomez. Hand #196: Javier Gomez limped with and Pavel Plesuv checked with . The flop brought out and Plesuv checked to Gomez who bet and Plesuv snap-folded. Hands #182-187: Gomez Rivers a Double Up!